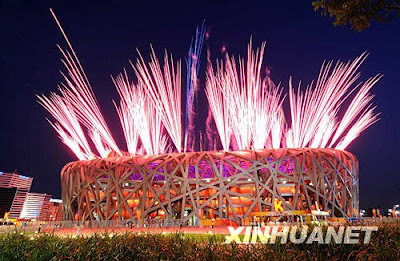 On August 8,2008 at precisely 8:08 P.M.(GMT+) the Beijing 2008 Olympics Games will formally open with, literally, a BANG! Fireworks explode over the National Stadium at the second dress rehearsal of the opening ceremony. The first dress rehearsal was done in July 11. All those who were able to watch were sworn to secrecy. The second dress rehearsal was on August 2 and the last was on August 6. The opening ceremony was directed by the famous Chinese film director Zhang Yimou. The Plans are being kept under tight secrecy. An intense security force was deployed outside the stadium during the first rehearsal, which lasted three and half hours.All I know is that there were 70,000 people involved in the production and about 15,000 participants. Quincy Jones and Ang Lee are consultants. The Chinese claim that this would be the most spectacular opening ceremony ever. I have no doubt because every Olympic host city does it best to outshine the last host site. I cannot wait to watch. However, there is a spoiler. It seems like a Korean news leaked a video of the rehearsal. Here I quote unquote. The Korean news report claims that the ceremony has been prepared for over 3 years and China has spent over $300,000,000 on, what according to the Korean station, is the most "magnificent, brilliant and mysterious" ceremony in Olympic history. The report claims the video features over 10,000 performers -- kung-fu fighters, trapeze artists and traditional Chinese dancers -- using the "most modern of laser technology" to execute the 10-second Olympic countdown. The only mystery still left for the opening is how the Olympic torch will arrive to the Bird's Nest and who will be the final torch bearer. Spolier!! Just can't keep things to themselves. Anyway, I was really expecting acrobats, trapeze artists, kung fu/shaolin/ and other martial arts masters and dancers plus uber fireworks to graze the Beijing Olymics Opening. I'm betting there'll be dragons too! $300Mil?? May pera palang ganun ang China? 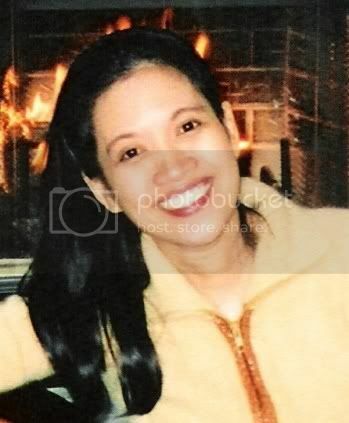 300 million lang nga eh. mag contirbute lang tig one dollar each citizen e di billion pa yon! lol!